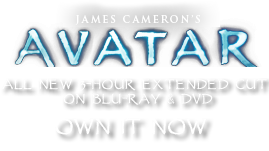 Tree Drum | Pandorapedia: The Official Guide to Pandora | Own AVATAR on Blu-ray & DVD Now! While the individual holes create distinctly different resonant pitches, this instrument is not perceived as a melodic instrument by the Na’vi. It is used as a strictly rhythmic accompaniment for social dances and, with multiple drummers, can create a mesmerizing polyrhythm. During Uniltaron, or “Dream Hunt,” women take over the drumming activities. It is felt that the ecstatic behavior of the men during Uniltaron is so wild and erratic, they may unintentionally harm themselves by trying to climb and play this tree. Function Accompaniment for social and ritual songs. Na'vi Name Ey’tey jahmka hiru’taya. Paddles are called nik’hih lo’simanu. Materials and Construction Limb of Hometree, still attached. Notes The most resonant spots on the limb are identified and adorned with paint.